While most of us dread posting almost anything from our high school days (Braces! Glasses! The horror! ), Ellen Adarna doesn't. As expected. Our March Cosmo cover girl shared with her 2.1 million IG followers just how gorgeous she looked in the mid-2000s! 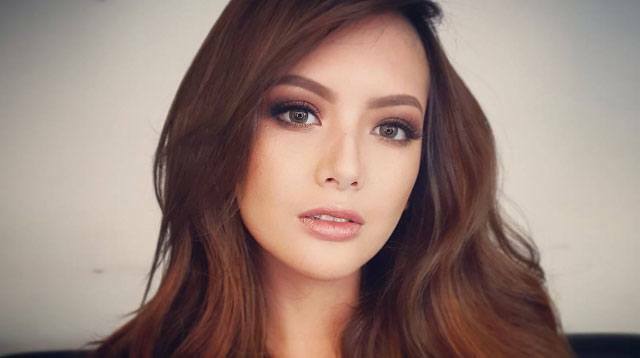 Sans falsies and contour, Ellen was a fresh-faced mestiza beauty who, in her words, always ended up in the principal's office in her alma mater St. Theresa's College Cebu. "Ellen sits at the very pinnacle of the social ladder—the goddess of beauty seemingly holding court with mere mortals. A charmer with a spunky wit and smile, she never fails to dazzle everyone with ingenious ideas that put any trendsetter to shame. Clever, yes, she most certainly is… and totally bound for prominence… the sassy girl!"